The point of the project was to look at the density of the high mineral sands as there have been issues with cemented layers. CPTs were decided to be the best technique to quickly investigate this potential problem. The ground conditions were mostly dunes, some of them very large, which meant testing down to depth of nearly 50m. 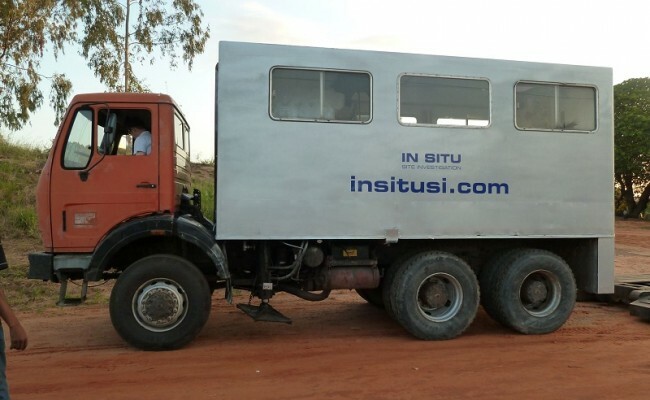 All of the tests were carried out using In Situ’s 20 tonne 6×6 truck, but due to the dense vegetation and the roughness and difficulty of the dune environment, the biggest challenge for this project was mobilisation and moving from one position to the next. However, working closely with the client, we managed to overcome all challenges and completed all the set out positions in a period of 5 months.